The Clink Charity was set up to reduce reoffending rates, which remain stubbornly and startlingly high. The most recent figures show that 44 of every hundred adults released from custody go on to reoffend within a year. The figure is higher for prisoners sentenced to less than a year. 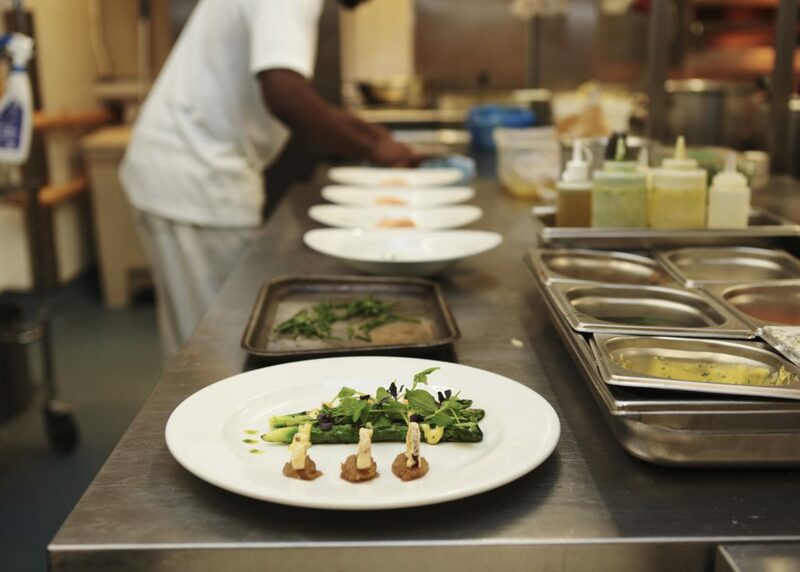 The charity provides a vocational scheme which prepares prisoners for a professional working environment though hands-on experience in its chain of restaurants, which offer fine dining to paying customers. The scheme involves a five-step model of recruitment, training, support, employment and mentoring, which provides support before, during and after the six to 18-month programme. For many taking part, it is their first legal job. The programme has produced results. A recent report conducted by the Justice Data Lab and the Ministry of Justice found that for every 100 prisoners participating in the programme, 17 would re-offend within the year, as opposed to the average for similar prisoners of 29. This marks a 41 per cent reduction in the re-offending rate. In 2016, the charity delivered 215,000 training hours, educating 400 prisoners and serving 98,000 dishes across the Clink restaurants. The programme is supported by more than 300 employers and aims to produce 1,000 graduates per year through 20 courses around the country by 2020. But its aim is not just to train the prisoners. The Clink Charity aims to train the public too, in the idea that people leaving prison deserve support and help, and in many cases are eager for the opportunity to work. Judges were impressed with many aspects of the Clink’s work. Its training was of high quality and helped prisoners to achieve a high level of skill. The charity had an beneficiary-focused attitude and a very clear understanding of the needs of the people it helped. But despite always putting the beneficiary front and centre, the benefits extended far beyond the individuals it helped. Its work was extremely cost effective, and had a proven result in reducing expenditure to the public purse. Its interaction with the public was not just helping individuals but changing perceptions much more broadly. The charity also impressed with the breadth of its connections, which stretched into the public, private and voluntary sectors, with partners ranging from celebrity chefs to the probation service to Shelter and Centrepoint. Its work was also extremely sustainable – funded largely by receipts from paying customers who attended its restaurants – and the charity was keen to expand its operation both throughout the prison estate and into other areas of society. The work was also extremely replicable into other areas of society, and judges were again impressed by the way the charity was pursuing a strategy of growth.